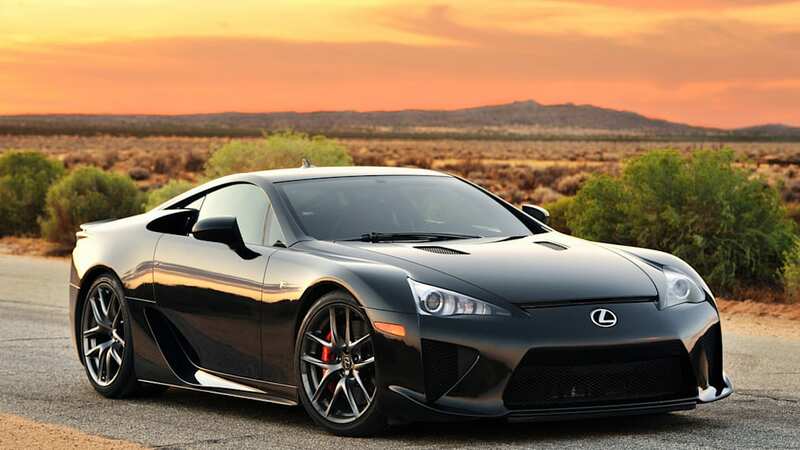 Can You Overdose On One Day With An LFA? Medical dictionaries define a drug as "any article intended to affect the structure or any function of the body of humans." 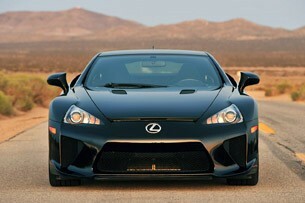 The 2012 Lexus LFA is not a supercar, it is a narcotic. 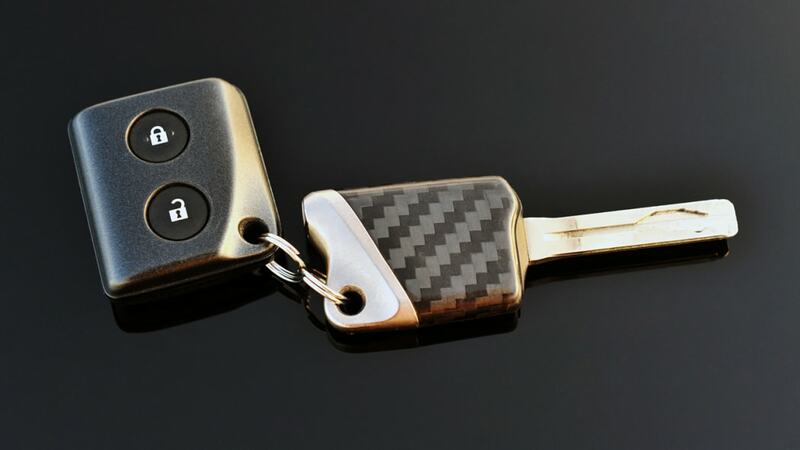 Twist the carbon-fiber key of the Lexus flagship and listen to its race-bred V10 wail. Within seconds of the sound reaching the eardrum, the adrenal glands initialize epinephrine production and endorphins are released from the pituitary. The result of the natural injection is a more rapid heartbeat, an increase in blood pressure, involuntary muscle relaxation/contraction and an overall feeling of well-being - the human body becomes more alert, physically stronger and has greater energy. 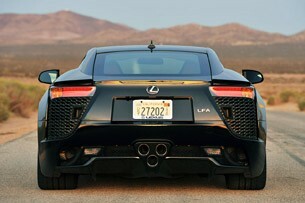 In layman's terms... the LFA makes its driver feel positively euphoric. 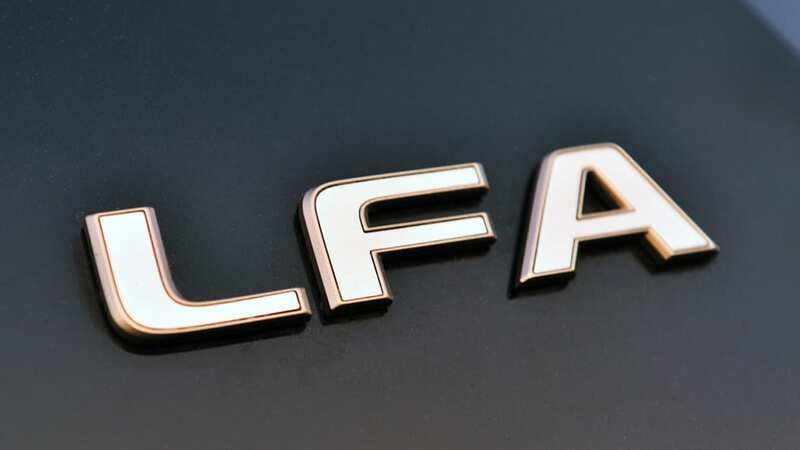 Regrettably, as is the case with most "feel good" medicines, the LFA is also extremely habit-forming and highly addictive. 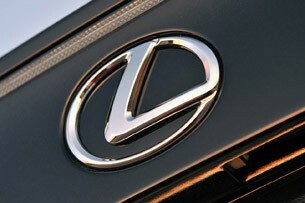 But Lexus has addressed this issue by ensuring safeguards are in place to prevent abuse. First, a person has to be of legal driving age to get behind the wheel. 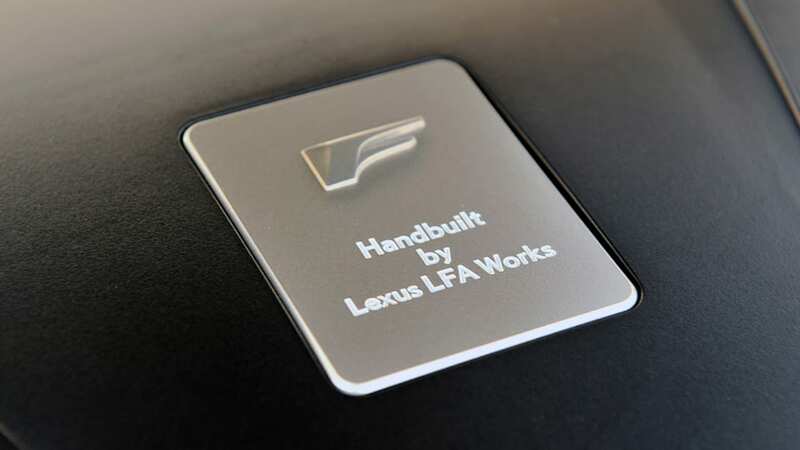 Second, the automaker has limited production to just 500 units worldwide (there are only 46 in North America today). 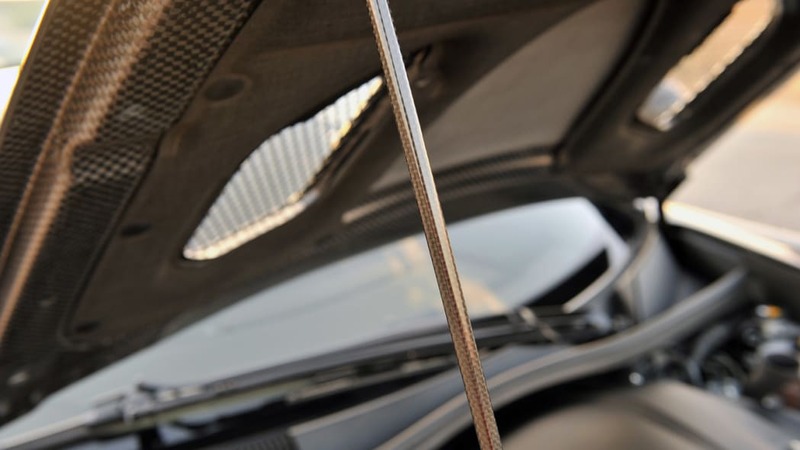 Lastly, and this will certainly keep the toxins from falling into the wrong hands, is that the base sticker price of the carbon-fiber, aluminum and titanium hallucinogenic is a nicely-rounded $375,000. Yes, it is unlikely that your friends, neighbors or co-workers will overdose on LFA anytime soon. 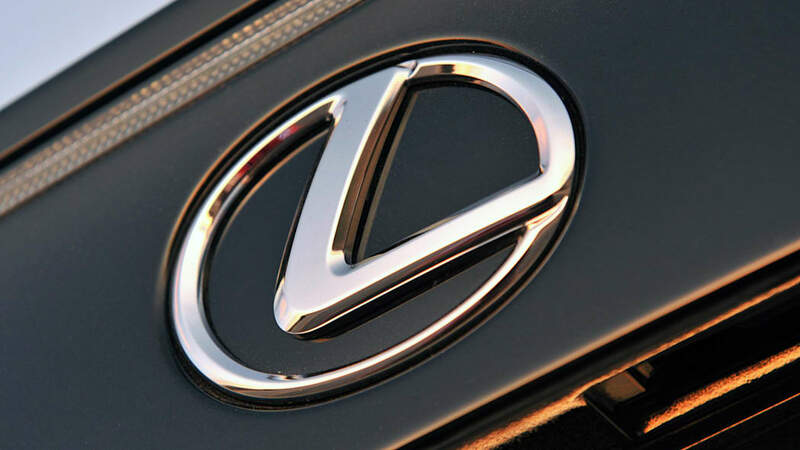 Lexus recently allowed me to sample its intoxicating supercar for a few days. No complaints, as it was a lot longer than Senior Editor Damon Lavrinc's taste at Homestead-Miami Speedway two years ago while attending the vehicle's launch. 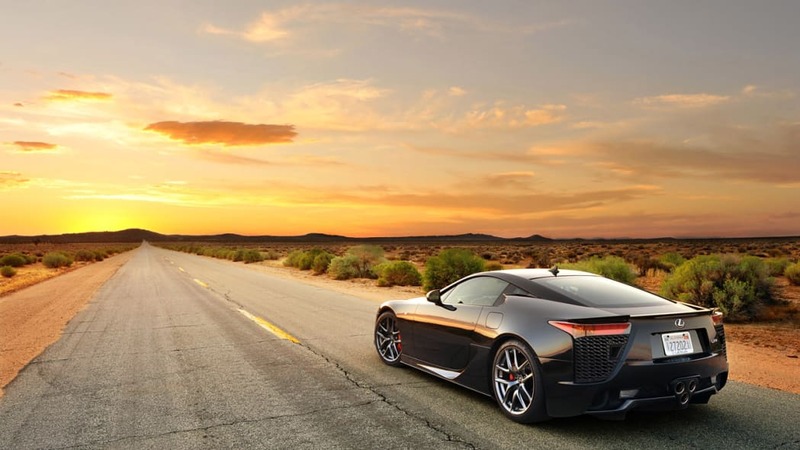 It didn't seem right to review the LFA without a plan, so a scheme was concocted that would allow the car to be driven on coastal highways, curvy mountain roads and wide open desert straightaways during an extended one-day banzai road-trip. Thankfully, Southern California delivered the proper geography and weather to pull it off. 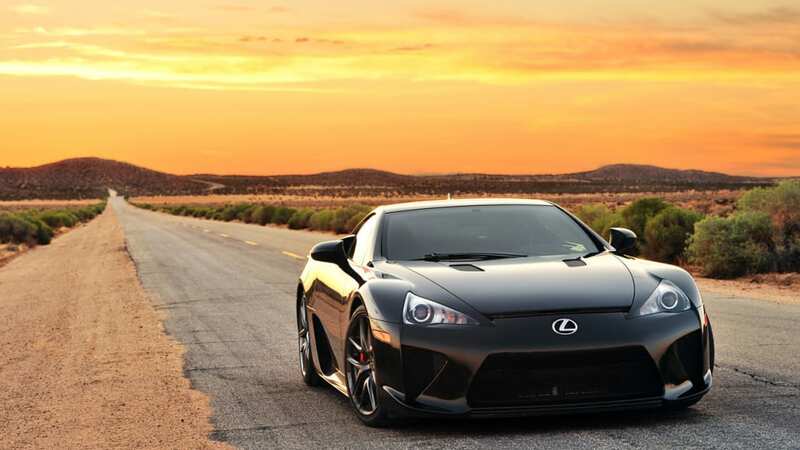 The plan, plotted rather meticulously a few nights prior to the LFA's arrival, was to take the vehicle on what amounted to a giant geographical loop. 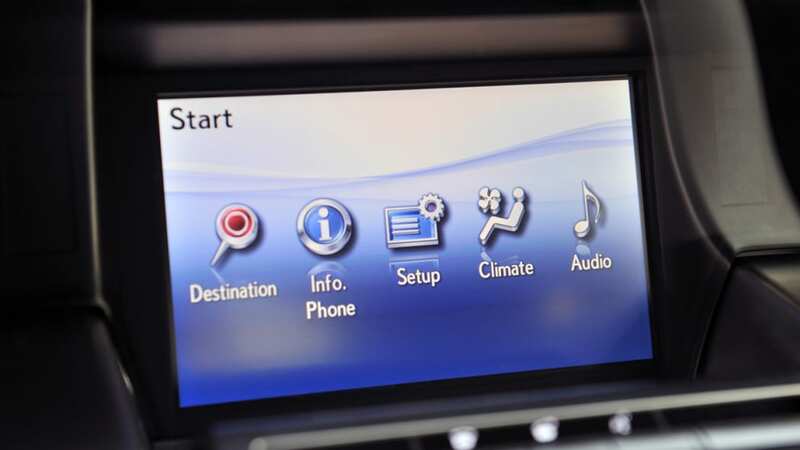 To maximize the driving experience, the route deliberately encompassed the aforementioned coastal, mountain and desert driving with elevations ranging from sea level to nearly 9,000 feet. Temperatures would mirror those extremes, with a low of about 60 F. at the ocean and a sweltering 100 F. in the desert. In total, the drive would start around noon and cover about 350 miles during day and night - including a desert photo shoot during sunset. Clear skies greeted me on the morning of the drive, as did a rather dusty LFA in the driveway (black really isn't the vehicle's best color as it shows lots of dust while simultaneously hiding nearly all of its unique styling cues). 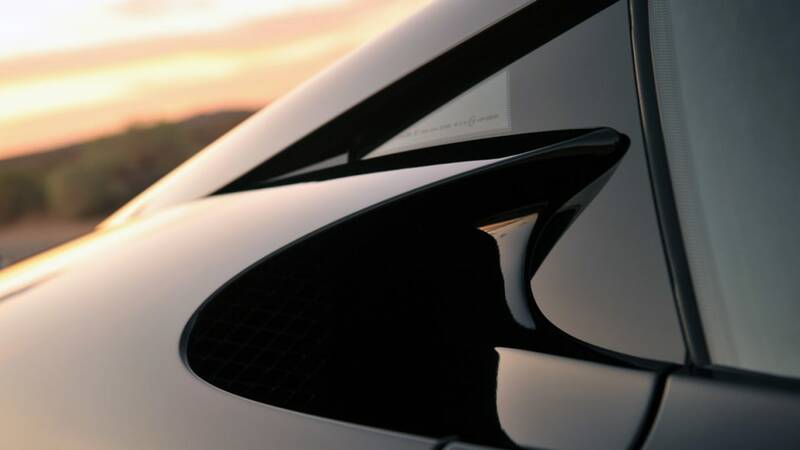 In person, the supercar looks bigger and more muscular than it appears in pictures, despite the fact it is nearly identical in length to a Porsche 911 and Chevrolet Corvette, but lower and wider than both. Toyota was obsessed with weight savings, so the engineers specified aluminum alloy construction over traditional steel from the outset. 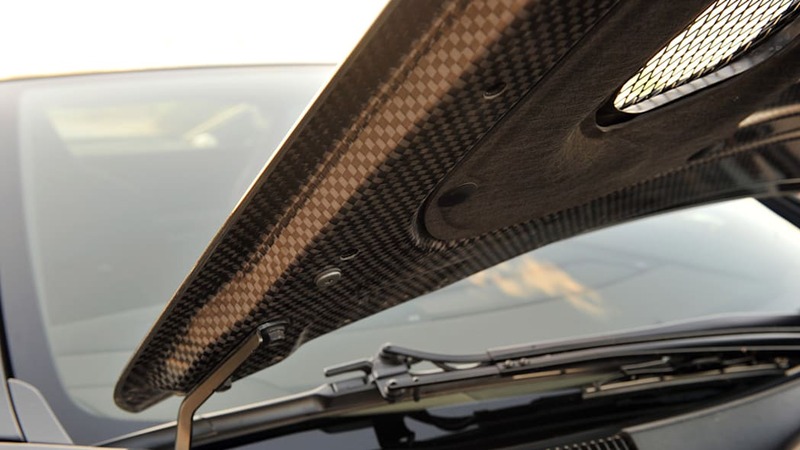 However, when calculations proved they still wouldn't meet their objectives, featherweight - yet immensely strong - carbon fiber became the build material of choice. 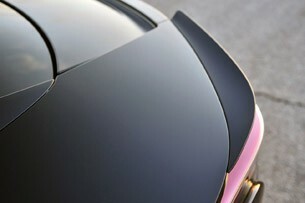 Expensive and difficult to work with, the automaker relied on its 150-year-old textile manufacturing experience to develop new looms to weave the fiber, and advanced molding techniques to cast the durable carbon-fiber reinforced plastic (CFRP) components. What isn't composite is titanium, aluminum or some other alloy. 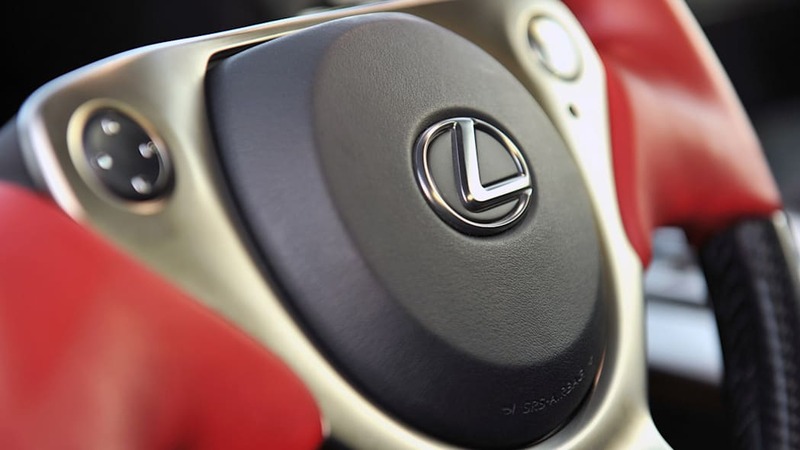 The rumors are true; there is no steel in the Lexus LFA. 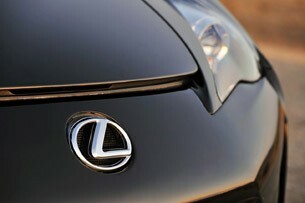 With a photo shoot scheduled at the culmination of the day, cleaning the LFA was the first priority. 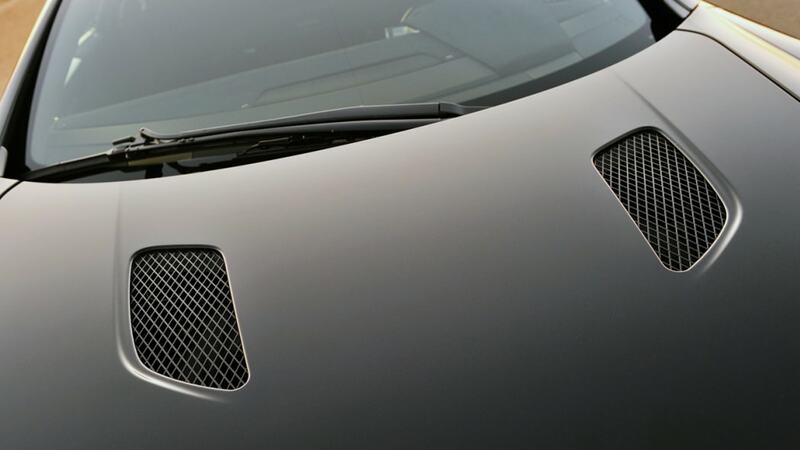 The hand-wash gave me a good opportunity to run my hands over the expansive carbon-fiber bodywork and explore the countless scoops, ports and air intakes (they are numerous enough to make a cheese grater feel inferior). The various air intakes are all functional; slots in the nose feed fresh air to the engine's lungs and cool the front brakes, while the vents on the hood bleed excess engine heat and feed cool air to the titanium exhaust manifolds. 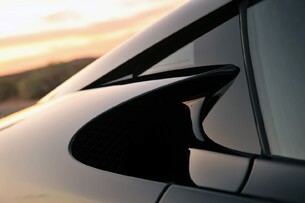 Additional side inlets deliver air to the rear brakes, large rear radiators and enclosed titanium mufflers. 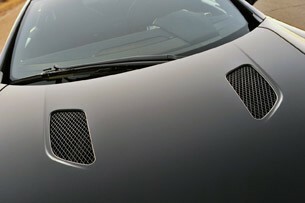 Under the carbon fiber hood, with its own trick carbon fiber prop rod, is a naturally-aspirated 4.8-liter V10. 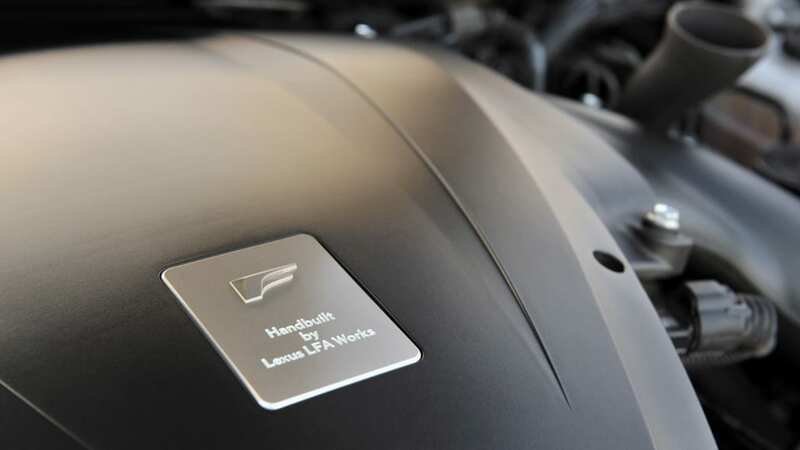 Thanks to lightweight internals, including titanium valves and connecting rods, the engine redlines at 9,000 rpm with an ultimate fuel cut-off at a dizzying 9,500 rpm. 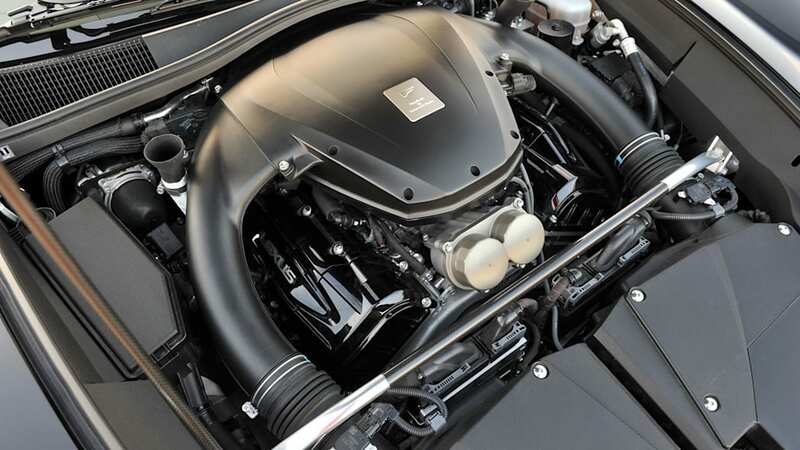 The powerplant, which Toyota says is smaller than a traditional V8 and lighter than a conventional V6, features individual throttle bodies for each cylinder. 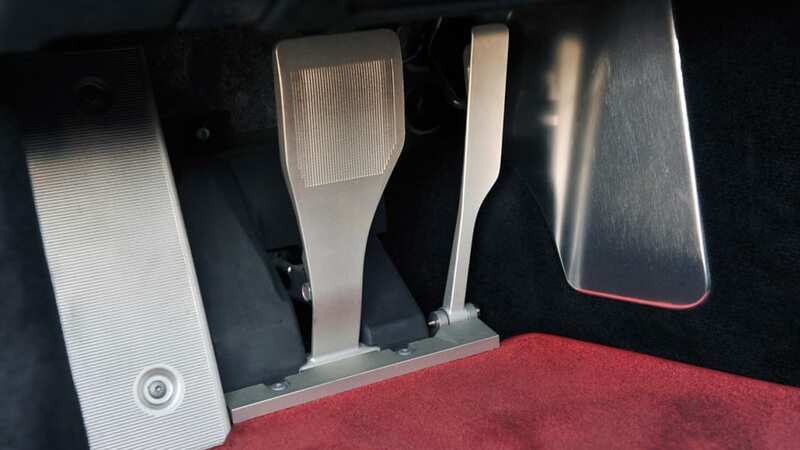 With dry sump lubrication for sustained high-speed cornering, it is rated at 552 horsepower at 8,700 rpm and 354 pound-feet of torque at 6,800 rpm. 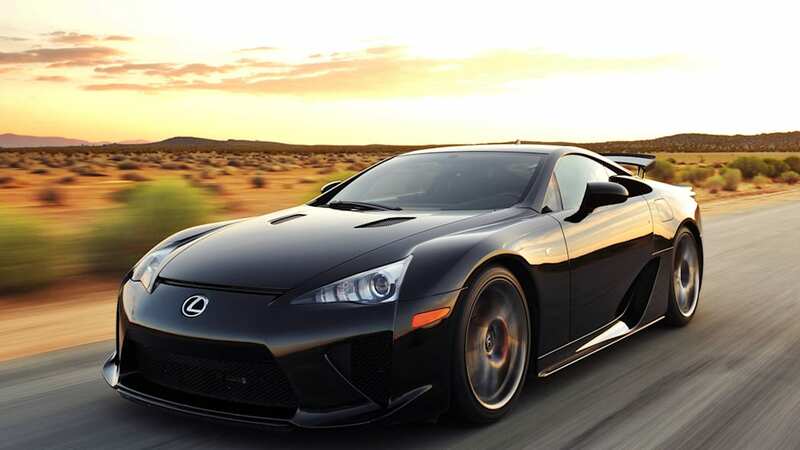 The awe factor doesn't stop there, as Toyota also fitted its LFA with equal-length titanium exhaust manifolds and a beautifully-tuned titanium silencer. 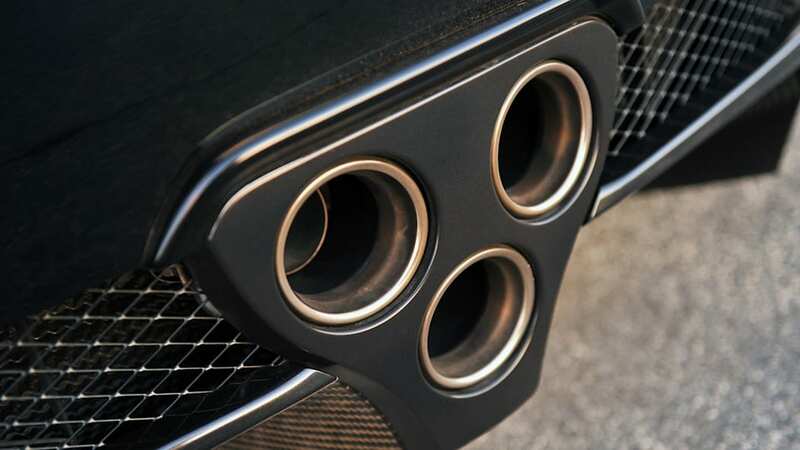 The sound coming out of the center-mounted triple-cluster exhaust is pure Formula One, a high-pitched wail that is unheard of outside a race circuit. 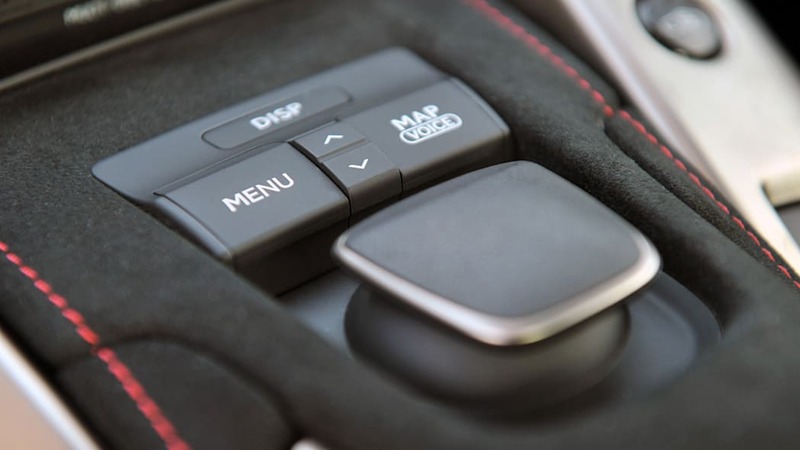 Gear changes are electronically managed, with instruction sent to a rear transaxle gearbox containing a single-clutch automated sequential transmission. 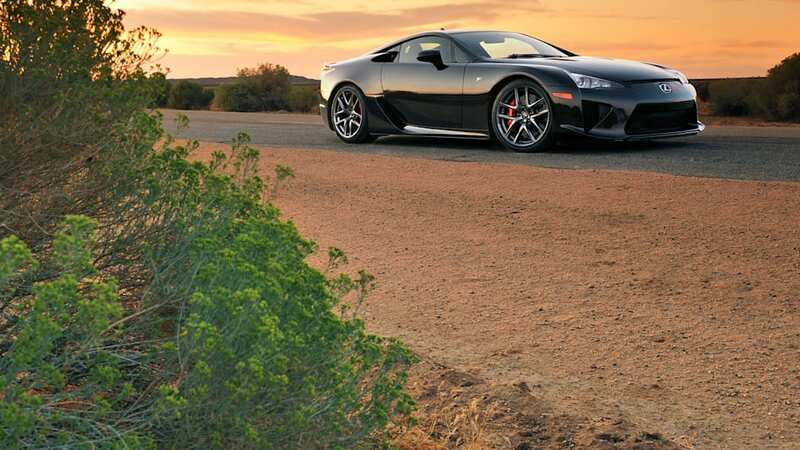 A dual-clutch design wasn't possible with the LFA, says Toyota, as its freewheeling V10 engine can spin from idle to redline in just six tenths of a second. 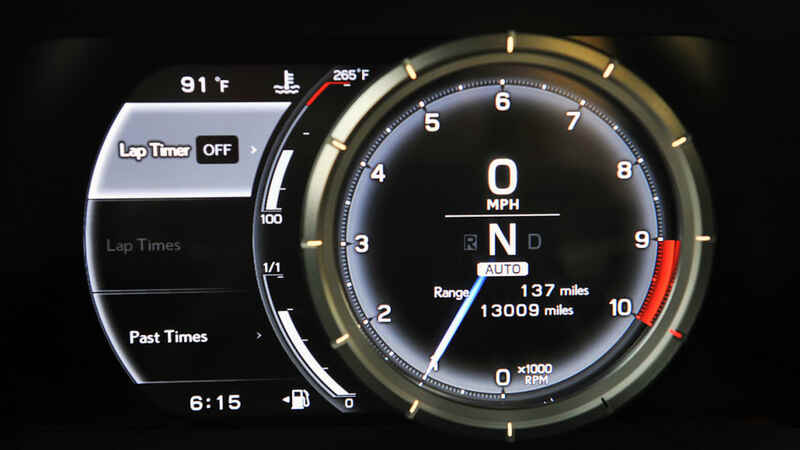 This necessitated a low-mass single-clutch system that was able to handle the speeds and a digital tachometer in the cockpit because an analog system could not keep up with the engine's insane transitions. 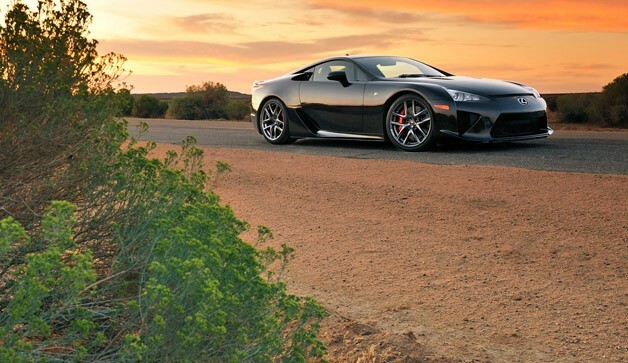 A race-bred suspension keeps the LFA's wheels in contact with the pavement. 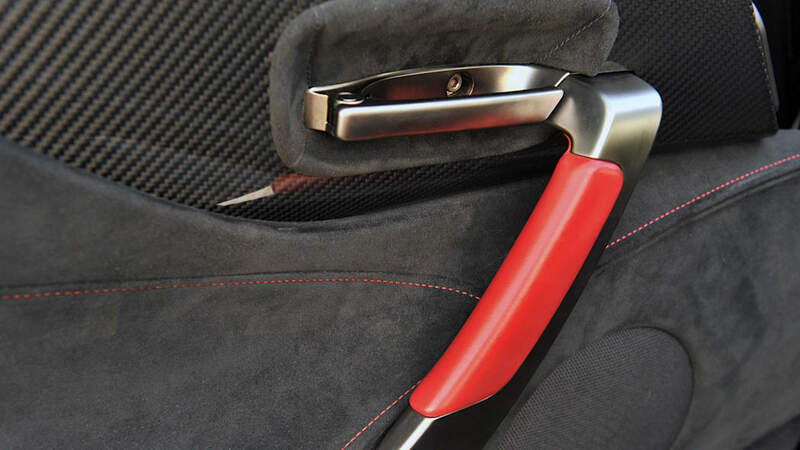 It isn't exceedingly sophisticated - lacking electronic damping or any other wizardry - but it offers aluminum remote-reservoir monotube dampers, hollow anti-roll bars, forged aluminum knuckles and forged suspension arms. 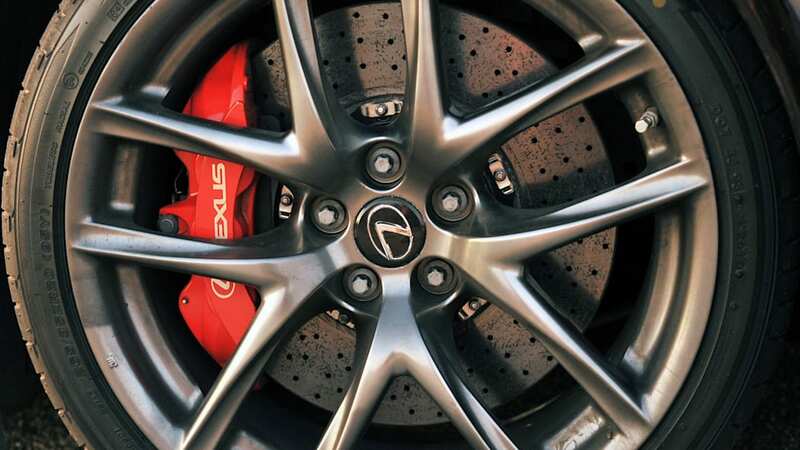 The brakes are massive cross-drilled carbon-ceramic units with six-piston alloy calipers up front and four-piston calipers in the rear. Sticky Bridgestone tires (265/35ZR20 front and 305/30ZR20 rear) complete the package. The near-disturbing obsession with weight savings, combined with a mid-front engine mounting, delivers a near-ideal 48:52 weight distribution and a curb weight of just 3,263 pounds (that's 566 pounds lighter than the slightly nose-heavy Nissan GT-R). 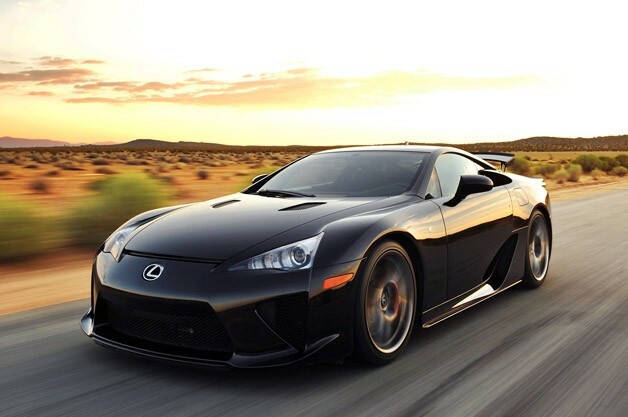 Lexus claims its LFA will rocket to 60 mph in 3.6 seconds towards a top speed of 202 mph. 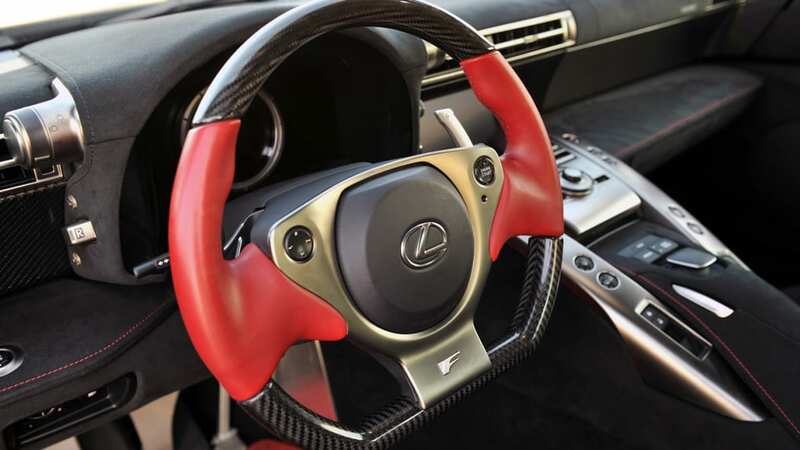 I dropped my six-foot two-inch frame into the LFA's cockpit to find it as visionary as the exterior, but not exactly ergonomic. 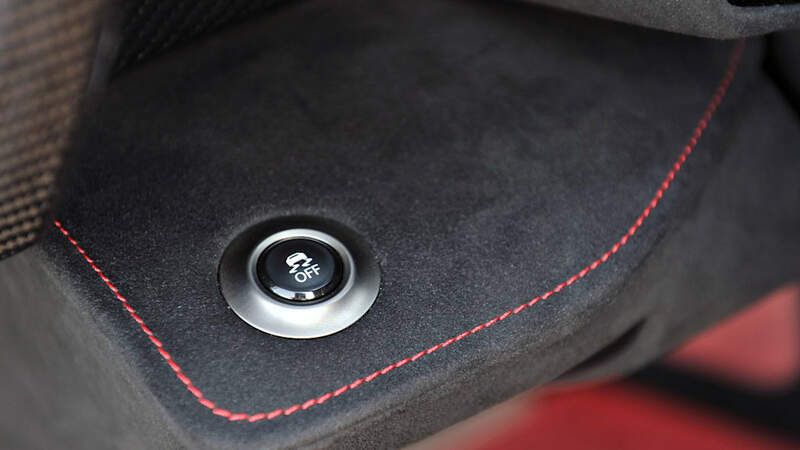 While there is an impressively overwhelming mix of carbon fiber, aluminum, leather and soft Alcantara covering nearly every square inch, there are a few oddities. 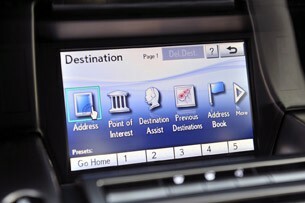 These include a lack of cup holders, a lack of storage nooks and a lack of cruise control. 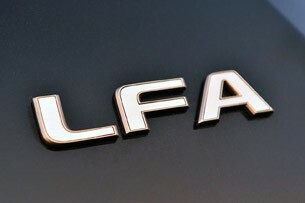 It seemed as if the LFA was already hinting at its single-minded objective even before I started its engine. 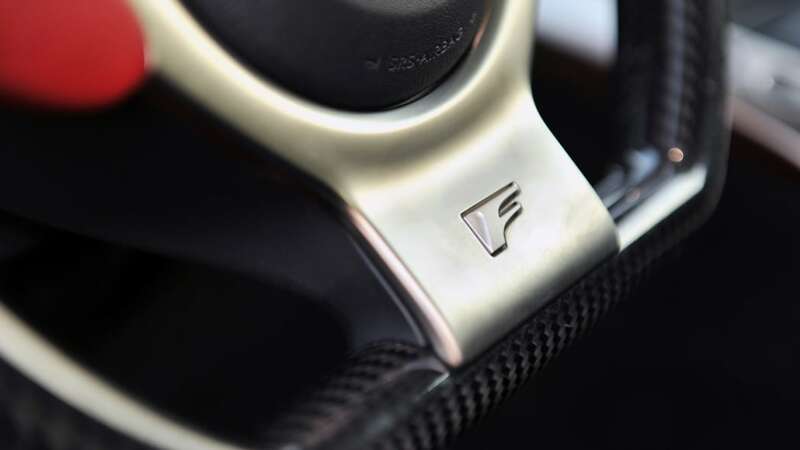 Unenlightened folk will have a difficult time driving the LFA, as a bit of pre-flight instruction is required. 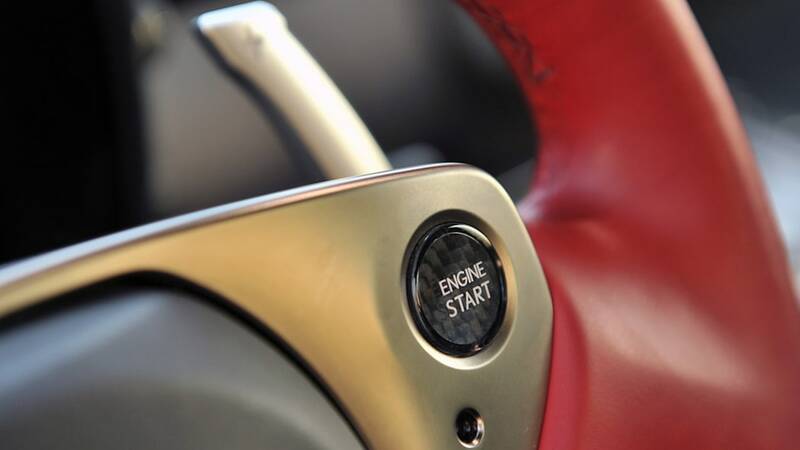 The starting procedure requires the key to be turned (to initialize power) while a foot is on the brake pedal and the gearbox is in Neutral - pull back both shift paddles simultaneously to bring it out of gear. 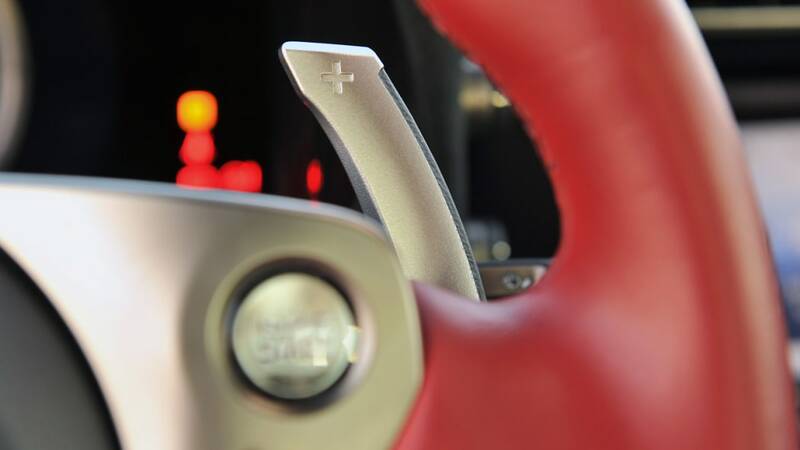 At that point a small light will illuminate on the face of the steering wheel directly below the carbon fiber "Engine Start" button. Press and hold the button down until the engine fires a few seconds later. 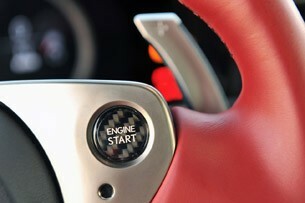 First gear is engaged by pulling back on the right shift paddle. 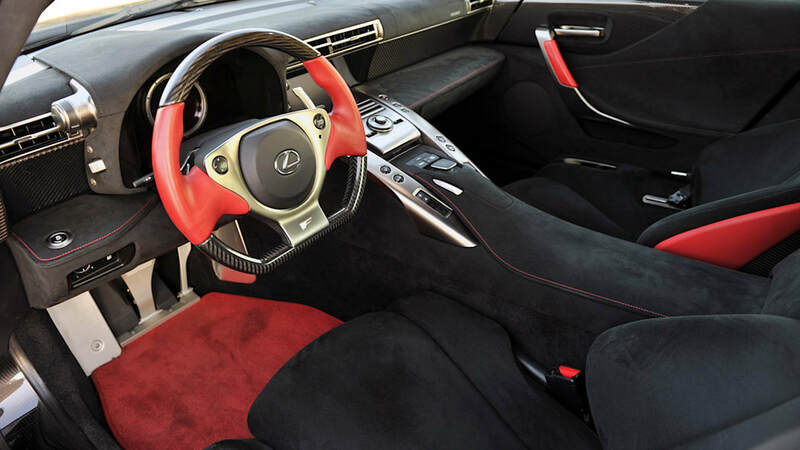 To engage Reverse, put the LFA back into Neutral with the shift paddles and then slide a little button on the side of the instrument hood. 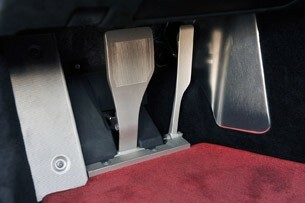 The parking brake is electrically operated via a switch just below the driver's right knee. The primary controls sound confusing, but acclimation comes quickly. 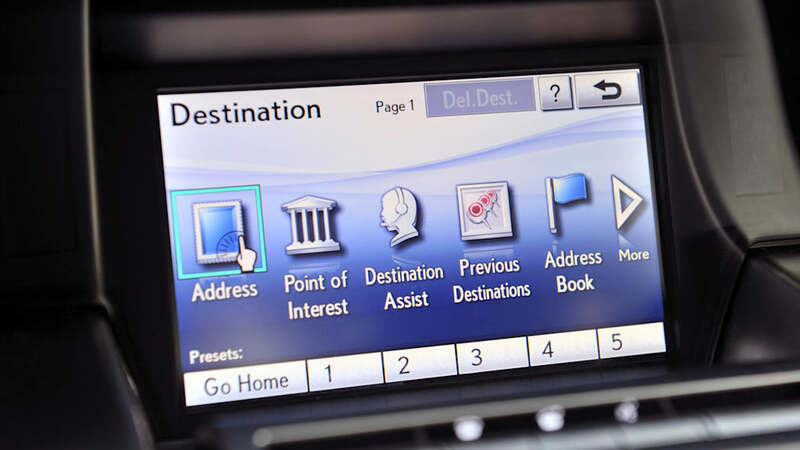 The first order of business was to program my route in the rather unspectacular navigation system (it is just a stock Lexus unit). 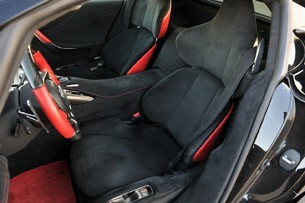 With that complete, the second order of business was to fill the empty passenger seat. 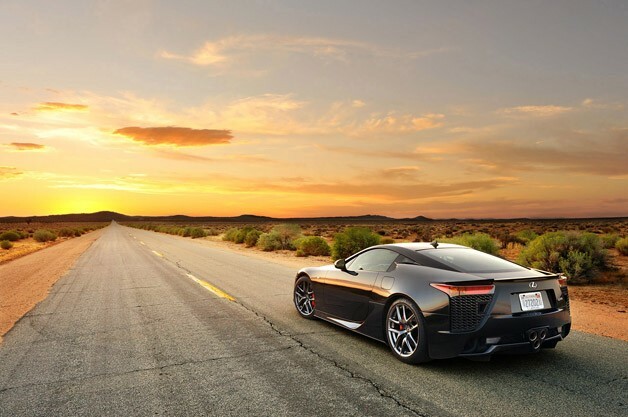 Father, son and LFA left the school parking lot and headed north towards Ojai on U.S. Route 101. 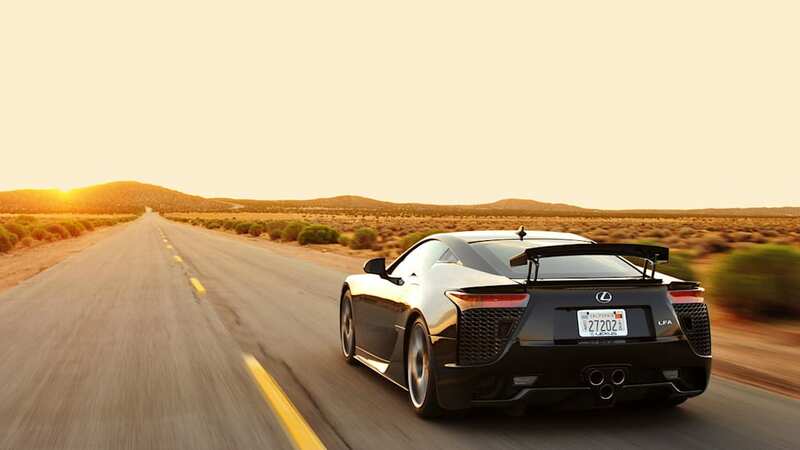 Getting the LFA up to highway speed took about as much effort as dropping a rock on your foot, but that is where the exciting part ended. I don't mean to shatter dreams, but driving any supercar in moderate traffic on a 65-mph highway is as frustrating as having your date's mother chaperone your post-prom party. 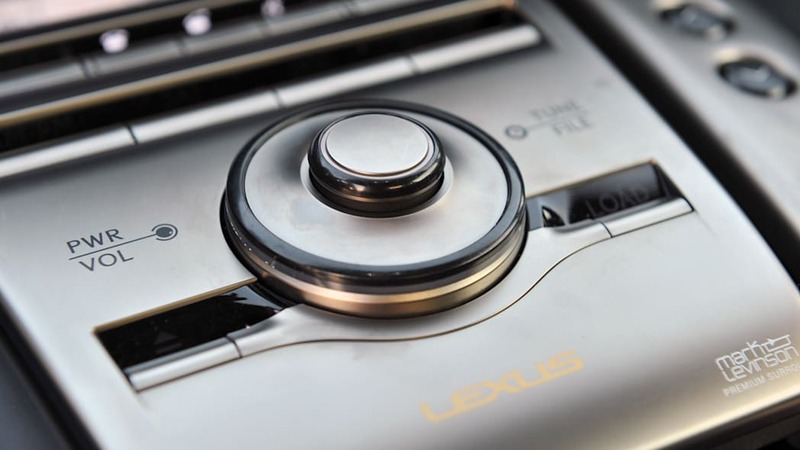 Making matters worse, the LFA's suspension bickered with every pothole, wide expansion joint and stretch of grooved concrete it encountered - the Lexus shook the two of us like a bull attempting to throw its riders. As we passed the coastal city of Ventura and turned inland, we laughed when a sharp impact sent us high enough to leave a pocket of air between our jeans and the Alcantara seat cushions. It was funny at first, but it got old rather quickly. 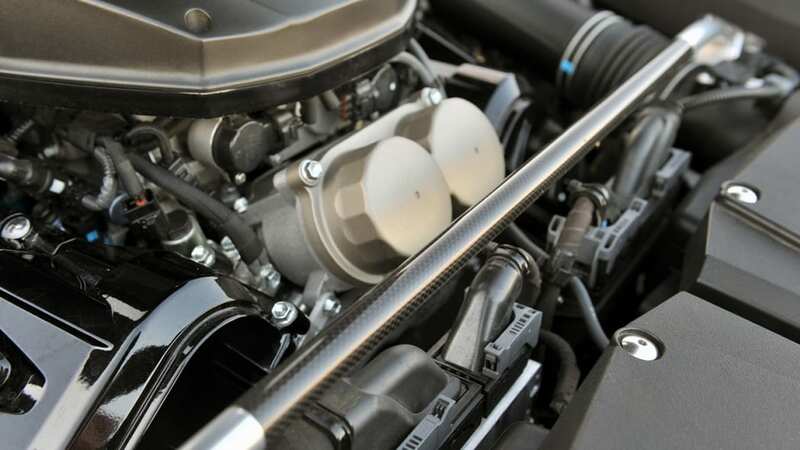 Holding a fixed interstate velocity, the constant wail of the engine also hit a nerve as it spins over 3,000 rpm at highway speeds. Its soundtrack drowns out everything within three lanes, including the patience of the occupants. The two of us needed to find an open road quickly. 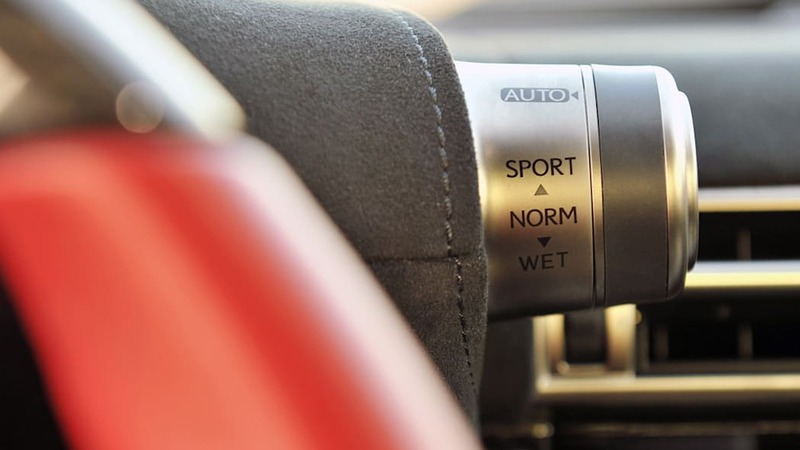 The transmission has four modes (Automatic, Normal, Sport and Snow). 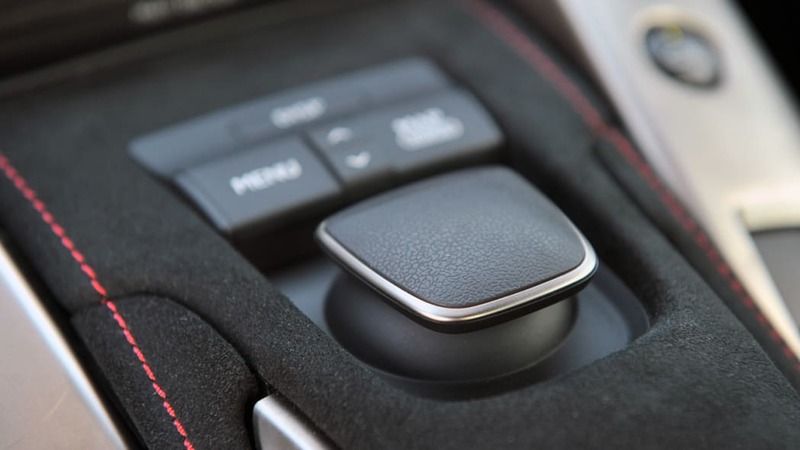 I'd been using mind-numbing and slow-shifting Automatic on the highway, but as we approached Ojai on California State Route 33 (CA-33) I dropped the gearbox into its Sport mode and began to shift manually with the column-mounted paddles. Entering the artsy town, where most residents drive something along the lines of an eco-friendly Prius, I kept the engine spinning at about 4,000 rpm just to gauge effect. 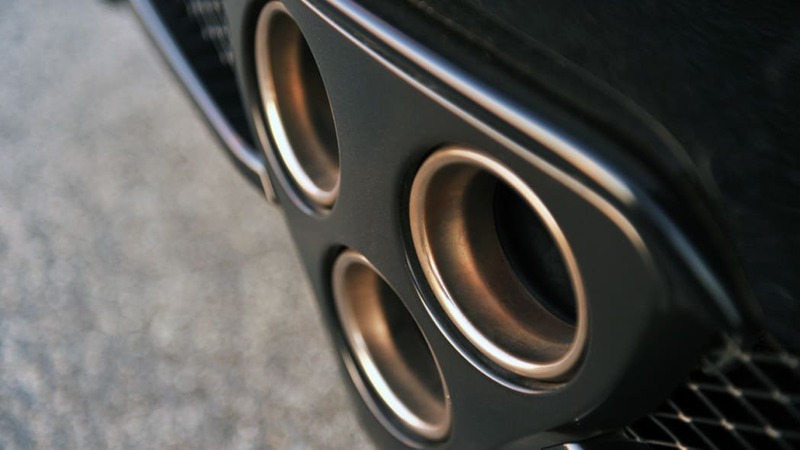 The trio of exhaust outlets bellowed loudly, with the unique soundtrack not only encapsulating the Lexus, but broadcasting one hundred yards in each direction. 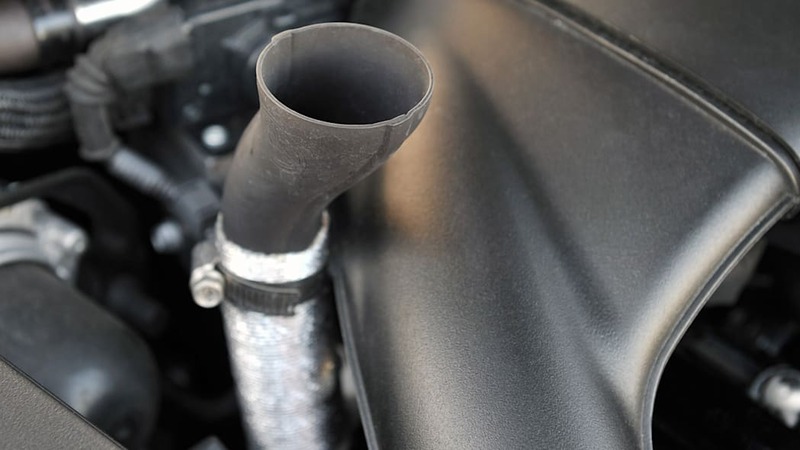 The pipes announced the arrival of the exotic like a horn blower in a medieval king's procession. It was fun to watch the peasants on the sidewalks as they turned and stared. Done terrorizing Ojai, we filled the tank with high octane unleaded and again pointed the nose north to follow CA-33 into the Santa Ynez Mountains. Within 15 minutes we were the only car on the twisty two-lane mountain road. Have you ever seen how a dog reacts at the park the moment its owner releases the leash? Think about the precise second when man's best friend notes its freedom and sprints madly away, as if it has never seen an open patch of earth. 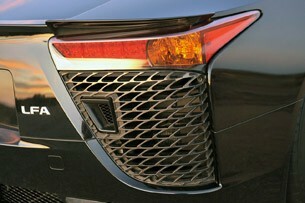 The Lexus must contain a molecule of canine DNA because it seemed to sense the open road in front of it. I didn't realize it then, but I had just swallowed the LFA pill. 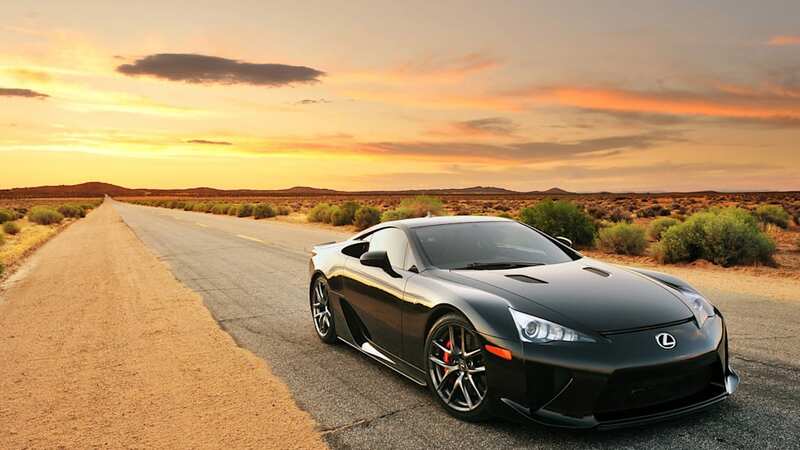 Overcome by the passion of driving a spectacular machine on an equally breathtaking road, I seized the opportunity to put the LFA through its paces. 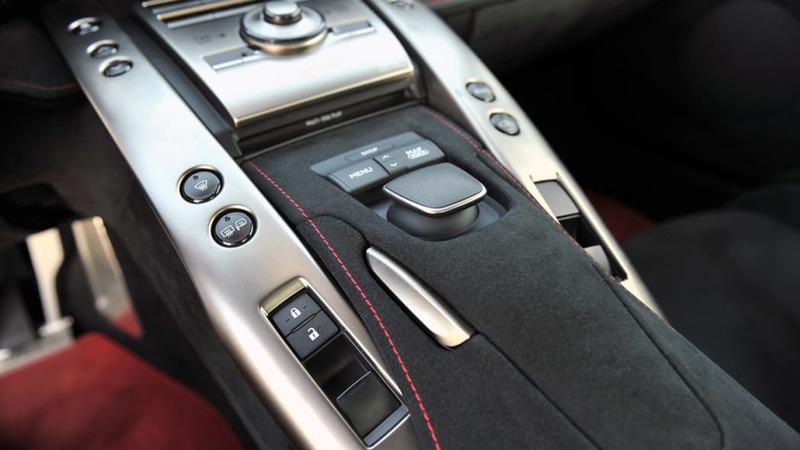 With the gearbox in Sport (where it would remain for the duration of the day), I gently tapped alternate paddles to keep the V10 in its sweet spot as the vehicle danced like a well-disciplined ballerina. 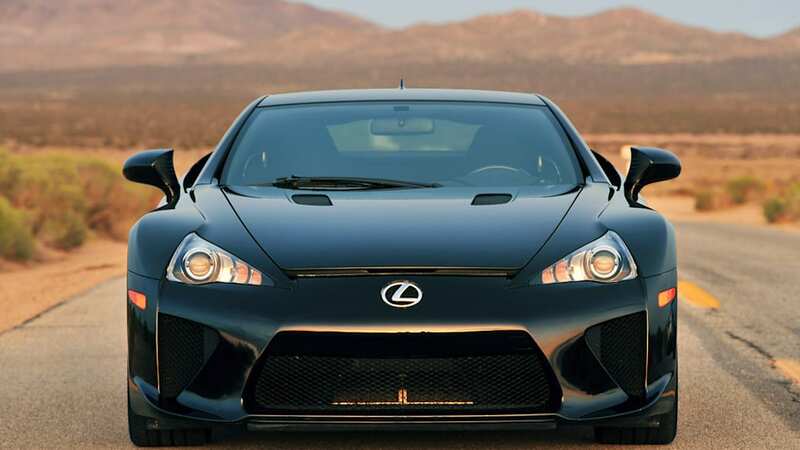 Implausibly well balanced, the LFA was incredibly fast and extraordinary in its ability to hold the line. 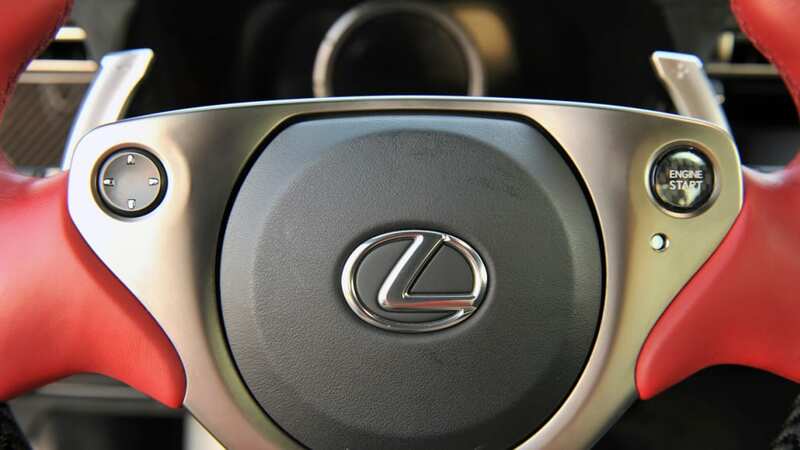 It rewarded smooth driving and precision inputs through the thick flat-bottom steering wheel with loyal obedience. While it was easy to rotate mid-corner, by lifting or applying throttle, it came back just as effortlessly with a twitch of opposite lock. There was no sloppiness to its mannerisms and it stayed completely within its lane as if guided by Teflon wheels on a seamless steel rail. 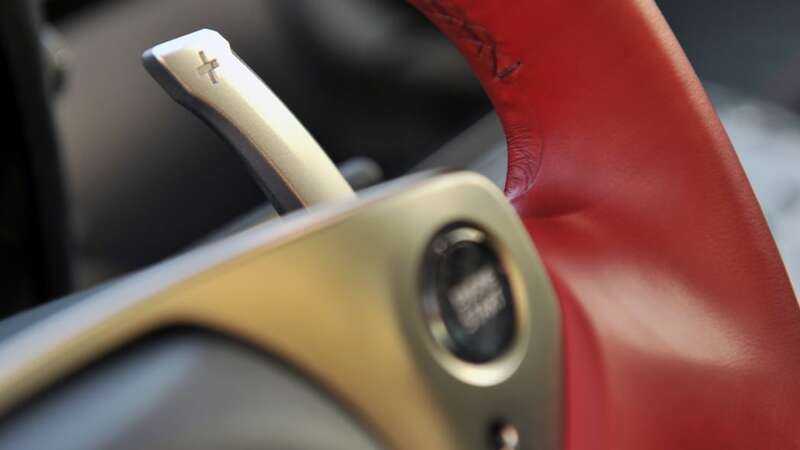 The feedback through the aluminum pedals, the driver's lone interaction with the throttle and brakes, was equally as remarkable. I would swear the engine's response could not have been quicker had I been opening the ten little throttle bodies by hand. 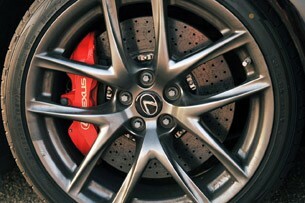 The massive fade-free brakes needed only a gentle, linear push to instantly engage tons of stopping force. Confidence is an understatement. 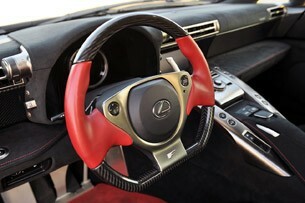 Driving the LFA was hypnotic. After nearly 40 minutes of pure driving bliss, I pulled over. 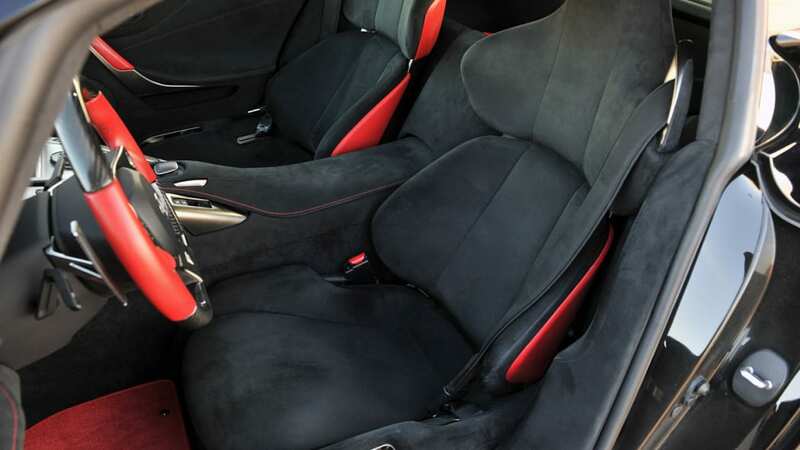 It was time to catch my breath, unfasten the thick airbag-equipped three-point seatbelt and take a freshening walk around the composite flagship. 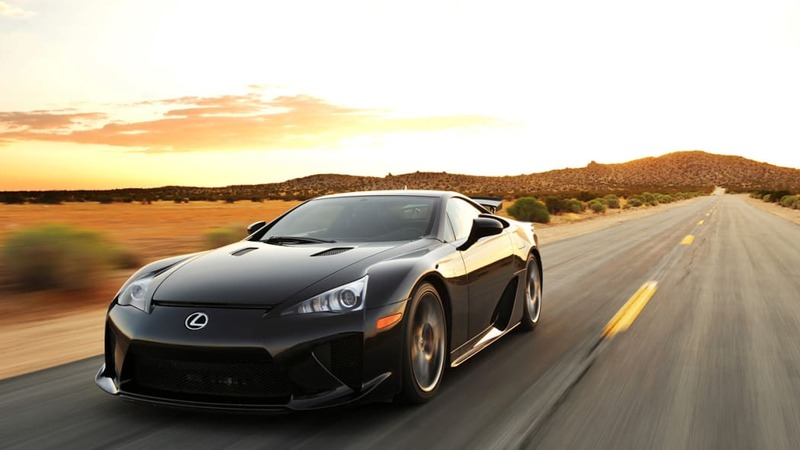 I've driven a lot of sports cars in my time, but few had my heart racing like the Lexus LFA. I was grinning ear-to-ear, very likely drooling, and craving so much more. Further up the road, the pavement straightened out and dry mountains gave way to irrigated farmland. The mile-long straight-aways allowed me to spin the engine flat out and it wailed like a F1 car all the way to its 9,000 rpm redline. I held the engine right there and laughed out loud when I noticed black crows foraging in the plowed fields take flight as the sinister black coupe angrily sliced through the air on its approach. After a short jaunt northeast across CA-166, we turned right onto Cerro Noroeste Rd, or Forest Highway 95, which eventually bumps into heavily traveled Interstate 5. The road is one of the best driver's roads in the region, with banked curves and excellent visibility ahead. In the winter, storms dump snow and often close the pass - but under warm sunny skies it was nearly flawless. The V10 shrilled as it sucked up the thin mountain air above 6,000 feet elevation. 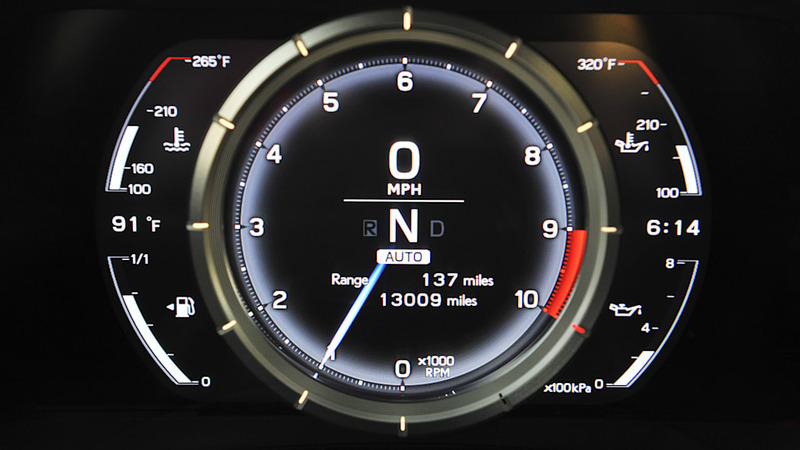 Despite its aggressive workout, the digital water and temperature gauge didn't move a single pixel (credit the LFA's track-oriented dry sump system that allows the coupe to withstand sustained cornering forces in excess of two Gs and massive rear-mounted radiators with electric fans to cool vital fluids). A quick detour to the driving summit of 8,847-foot Mt. Pinos gave my son and me one last look at the pine trees before the first snowfall. 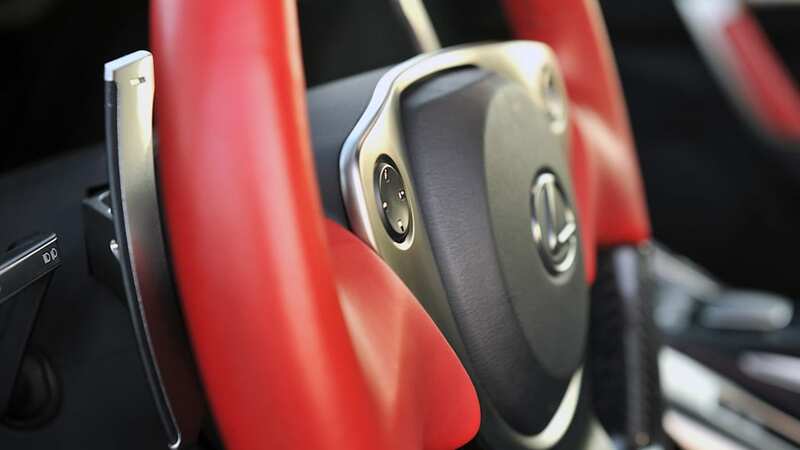 It also presented an opportunity to test the LFA's reflexes. 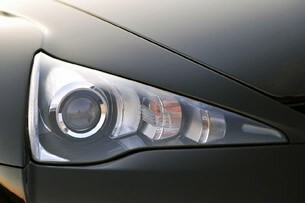 The coupe's ground clearance is just 4.5 inches, which is lower than a Corvette ZR1. That means large pine cones, rocks and even semi-flattened squirrels are potential obstacles. 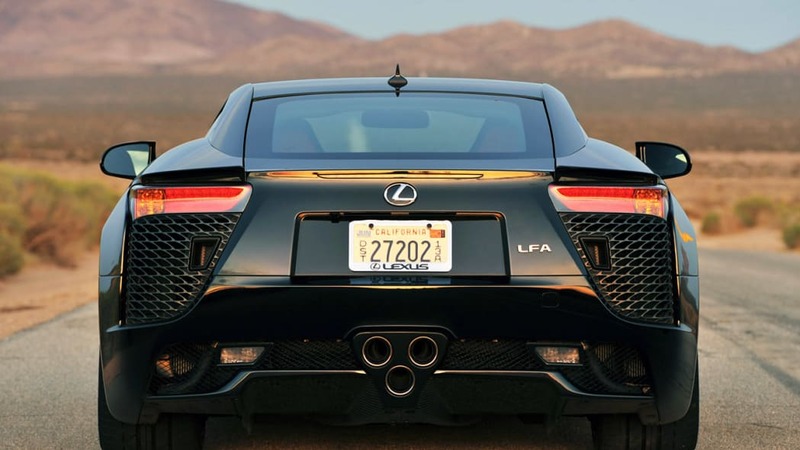 No worries, as a quick electric steering ratio and just 2.3 turns lock-to-lock allow the lightweight LFA to make easy work of the nuisance impediments. At the bottom of the mountain, we pulled into a Flying J Travel Plaza to grab a snack before heading across the street to the Shell station for yet another load of fuel. California State Route 138 took us from Gorman to just north of Lancaster, located in the high Mojave Desert, during a 90-minute sprint. With an impressive 22-mile straightaway that disappears over the horizon, and unbelievably light traffic, the road is fast. 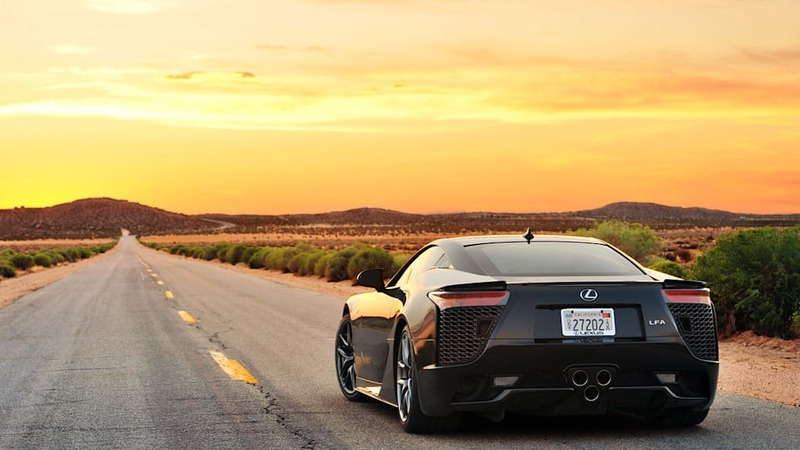 The LFA seemed to enjoy the quickened pace. Despite outside temperatures climbing to nearly triple digits, the climate control blew ice cold. Still in Sport mode and enjoying manually shifting (it became natural quite quickly), passing occasional agricultural traffic was accomplished brutally fast thanks to the rev-happy V10. 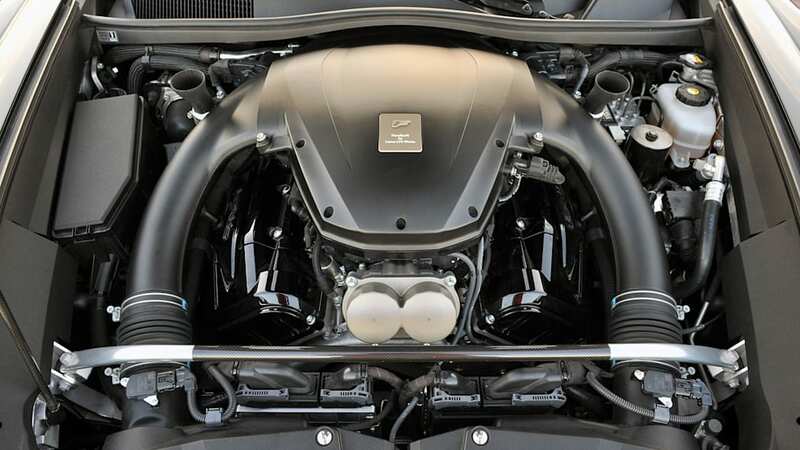 As expected from its naturally aspirated architecture, the engine prefers a bit of spooling before it delivers. 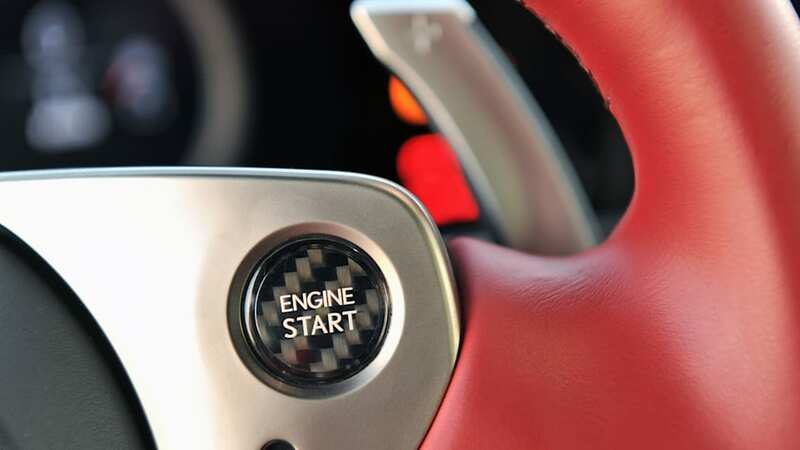 Head-slamming passing acceleration is best accomplished after two quick pulls on the left paddle, thereby dropping the engine into fourth gear. When accomplished correctly, the slower vehicle disappears in a wake of blowing dust within seconds. 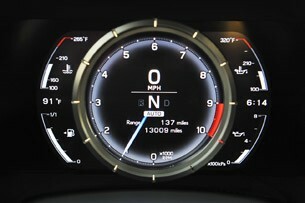 High speed stability, in a vehicle that boasts a top speed just north of 200 mph, was expectedly laudable. We arrived at In-N-Out Burger in Lancaster to meet Drew Phillips, Autoblog's esteemed photographer, a bit early. 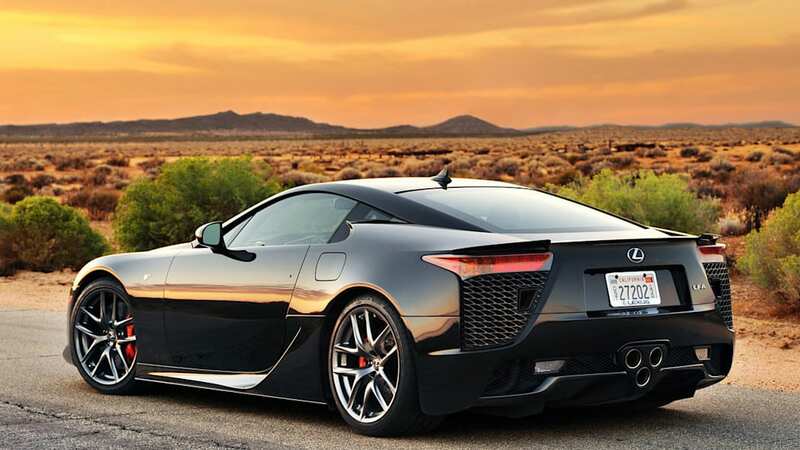 The appearance of the boisterous black LFA cleared a few customers out of the hamburger joint, and they gathered around to ask questions. The front fascia, coated with dead bugs smashed onto nearly every surface at high speed, is an entomologist's nightmare. It needed some serious cleaning before the photo shoot - I applaud Drew for bringing his detailing kit. After shooting the car for a couple hours on a desolate desert road, the brilliant orange sky was soon replaced by darkness. We drove back to Palmdale for yet another tank of premium unleaded (we were burning fuel at the prodigious rate of about 10 miles per gallon during the drive). It was then time to strap ourselves back into the cockpit for the grinding 100-plus-mile freeway drive that would take us across six major Los Angeles arteries. We arrived home late and my son went to bed exhausted. I went back into the garage to sit in the warm LFA and mediate upon its existence. 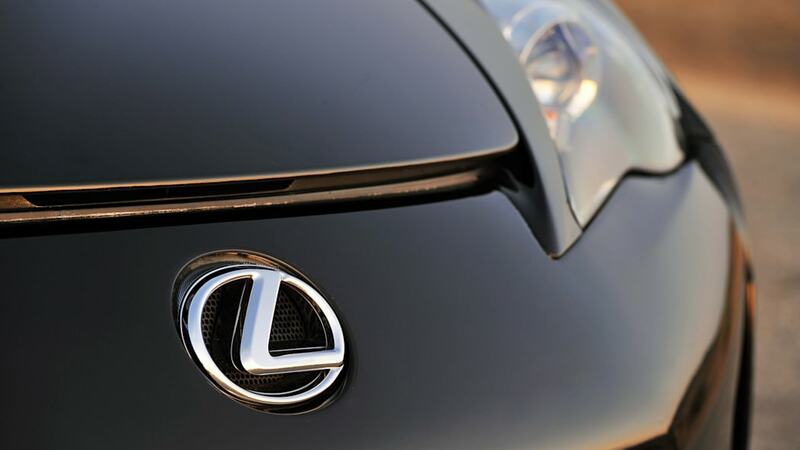 There are many ways to rationalize the Lexus LFA. It is undeniably a wondrous halo car, but far too rare and pricey to occupy any significant number of dealer showrooms for live traffic. 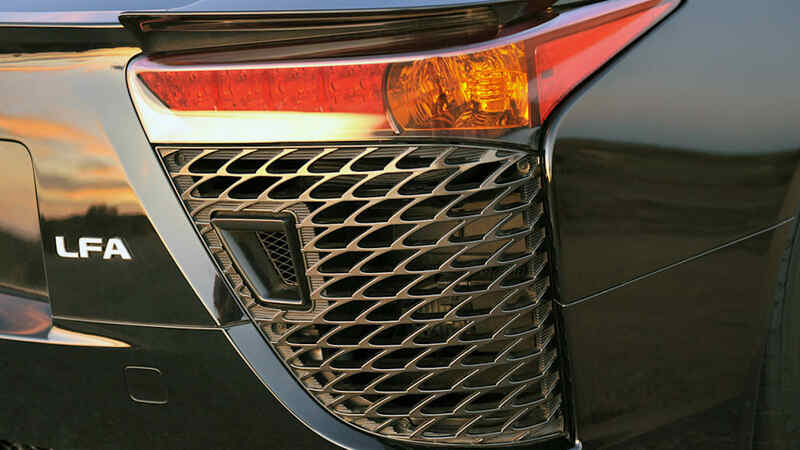 It is also a compelling proof of concept, demonstrating Toyota Motor Corporation's engineering competency with composite manufacturing, lightweight platforms and engine technology. 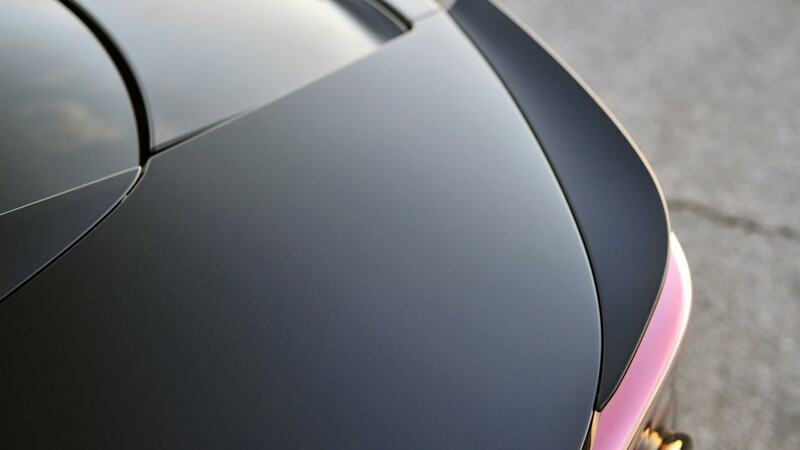 Lastly, it is an impressive supercar under the right conditions, but one whose performance slightly pales when pitted head-to-head against many of today's rivals. After putting nearly 500 miles on this exotic, I'm endorsing all three of the aforementioned, but adding a fourth. 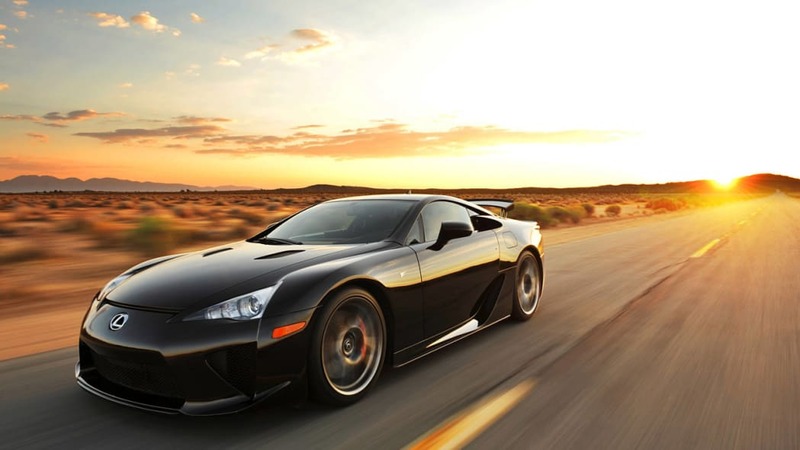 Unlike most other halo models, proof of concept vehicles and supercars, the Lexus LFA does not make any compromises. 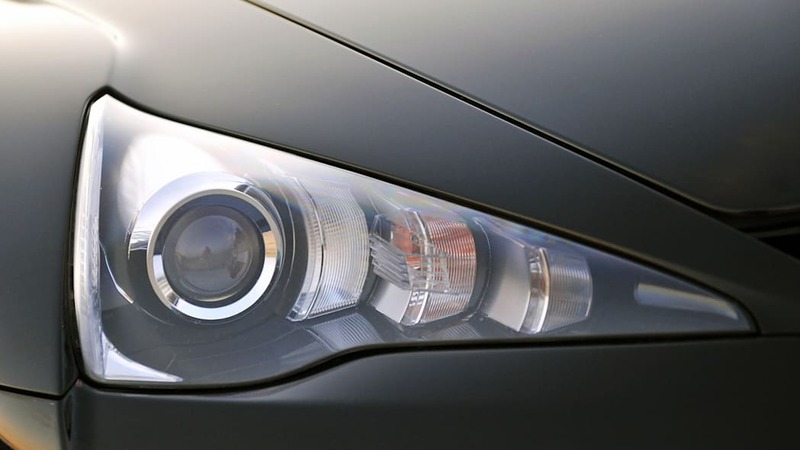 It is a pure single-mission driving machine seemingly very content in its very own niche. 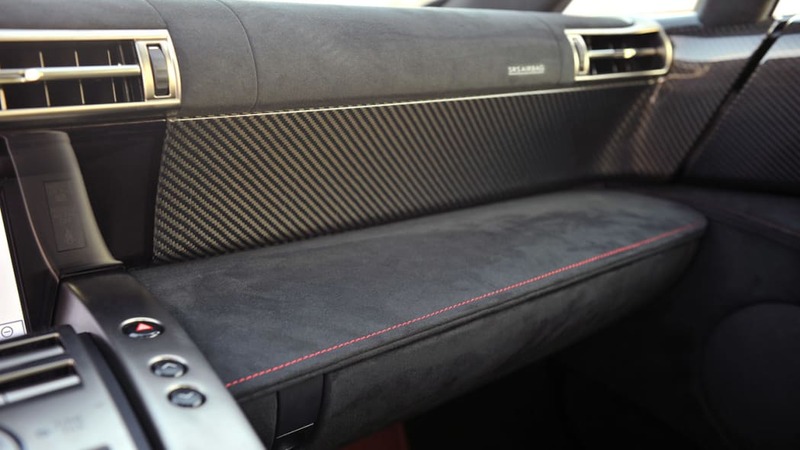 With the exception of the ho-hum navigation unit, every ounce of carbon-fiber, every square inch of Alcantara and every drop of titanium alloy is contributing to that narrowly focused objective. It is a single-purpose stimulant, formulated specifically to induce euphoria in the driver. 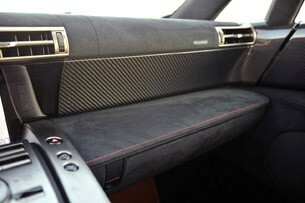 Masterfully executed, it is not a supercar - it is a narcotic.